Sometimes when you use a power supply to power more than one effects pedal you end up with unwanted ‘noise’. Especially if using an effects loop. This can often be cured by using an isolated multi output power supply. In effect you use one power supply for each pedal. 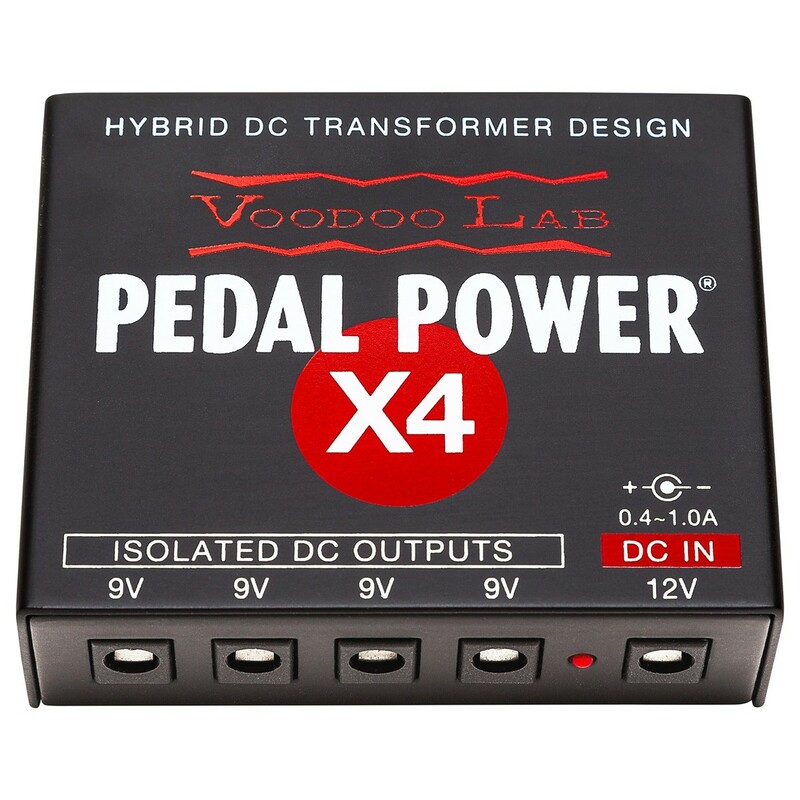 This Voodoo Labs X4 usually sorts out most issues. Suitable for 4 guitar pedals. NOTE: 1000mA total – add up the individual power consumption of your pedals. No ONE single pedal must be over 500mA and the total of all 4 must be less than 1000mA. Yeah that last bit is a bit technical huh? We have over 30 years of pedal board design and problem solving.